With twenty years of experience in creating unique gift items for corporate clients, artist Steve Simon has worked with a variety of satisfied customers. He enjoys working with gift companies, destination management companies, and meeting planners in the creative process of producing gifts that genuinely preserve fond memories of any special event. Due to the unique nature of each customer’s request, no two projects are ever the same. 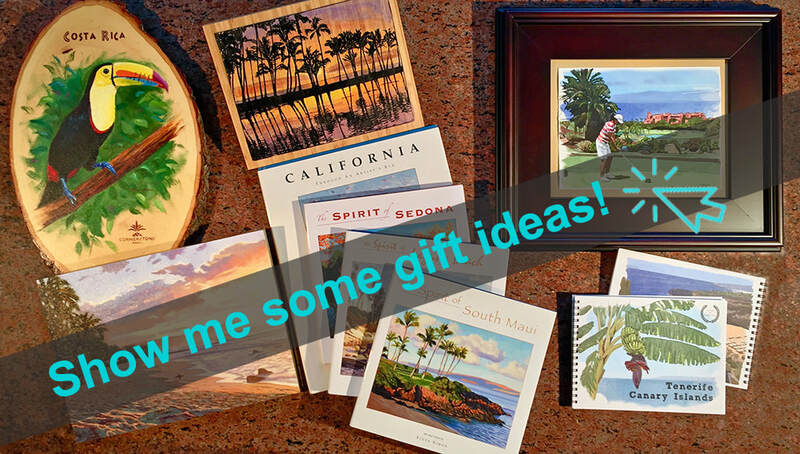 Please visit our Gift Ideas section to get the creative juices flowing and contact Steve to get started! "The best products share two things with Simon’s paintings: They connect with their target audience, and they keep the branding in front of its eyes." "Steve worked with our company to create a gift that would be remembered by our top sales associates for years to come. "We were all overwhelmingly impressed by your wonderful product." — Angie Miller Miller & Assoc.